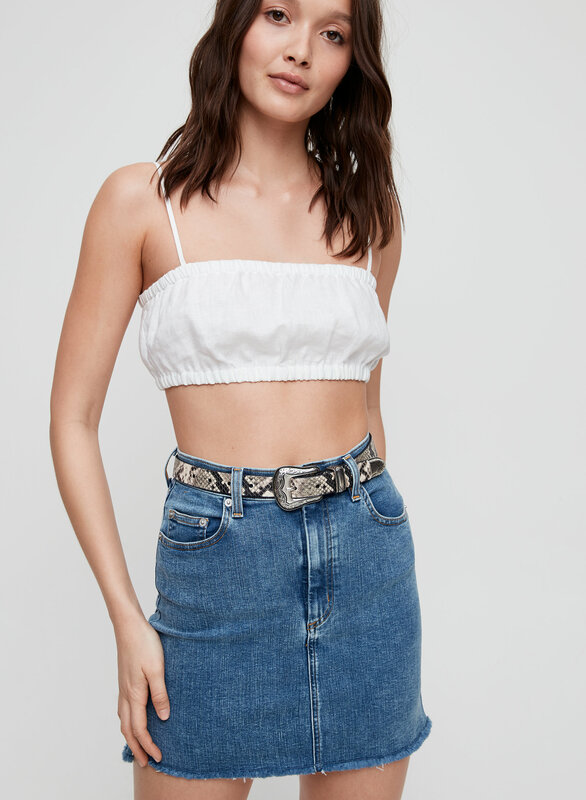 Styled with abena camisole and cut off denim skirt . Your denim's Ride or Die. 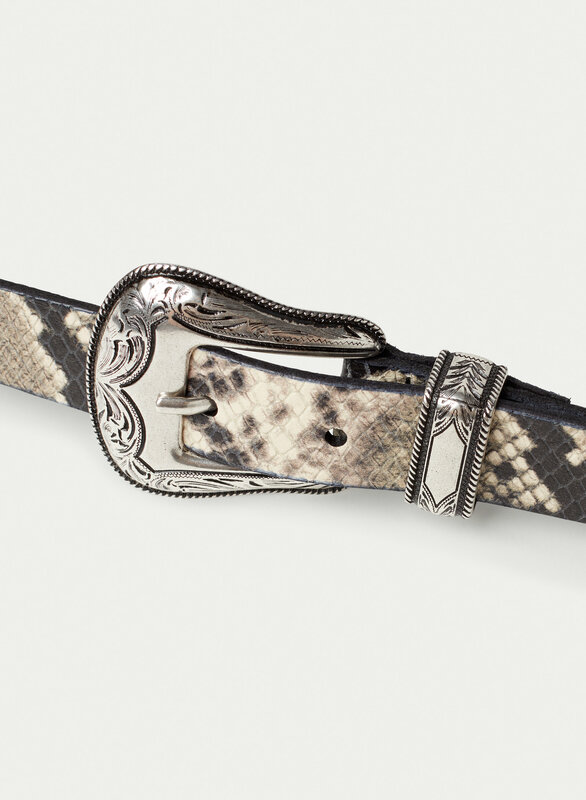 This is a skinny belt with hand-painted edges and authentic western detailing. 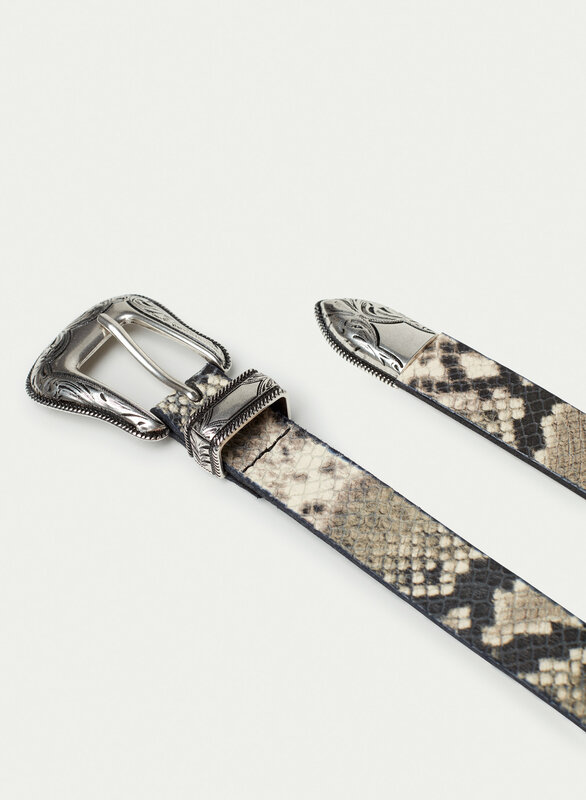 It's made with genuine leather that ages beautifully over time. 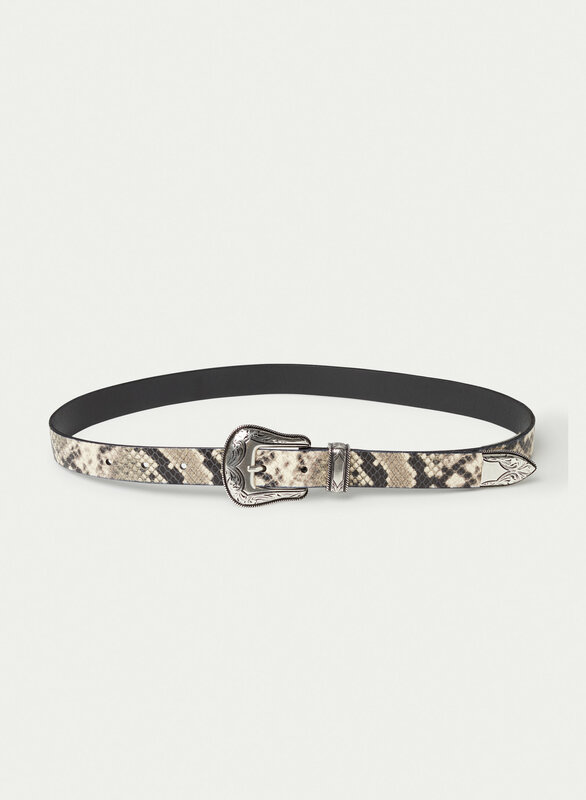 This version of the Skinny Western comes in a custom python print.